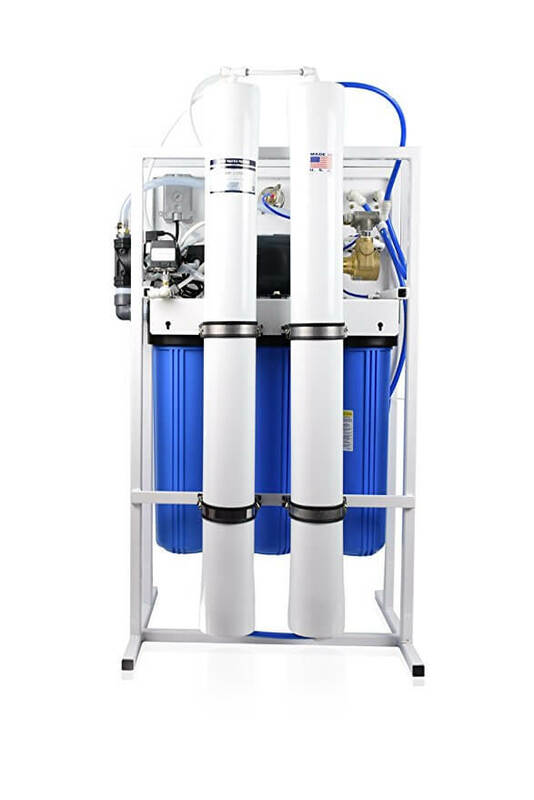 The straightforward layout and operation of the MR-C makes it the ideal water purification system for nursing homes, educational facilities and residential buildings. 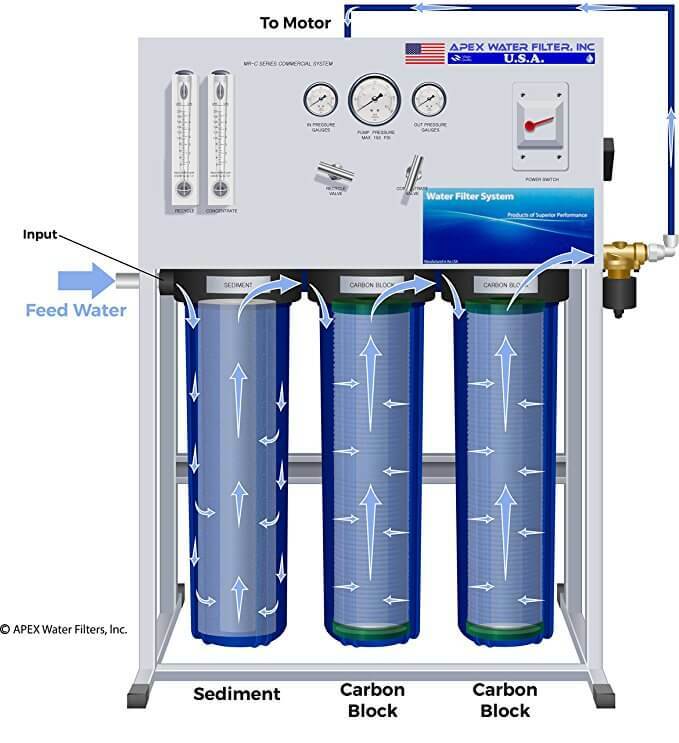 Hydroponic growers will benefit from the purified low TDS water when mixing nutrient solutions. 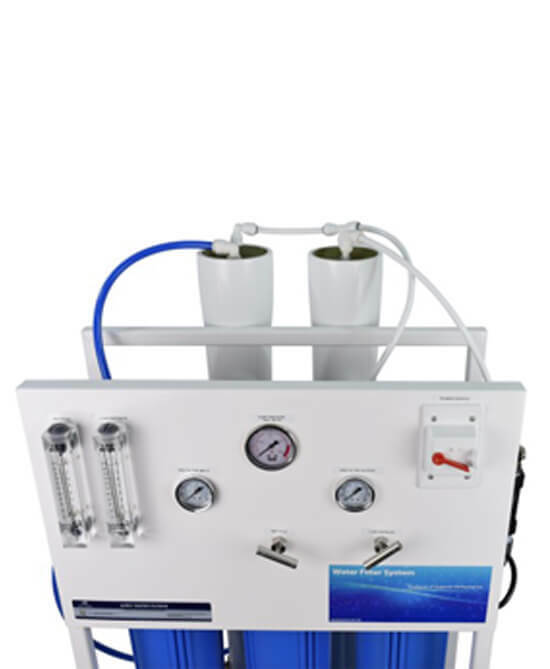 Aquarium wholesalers, retail shops and saltwater aquarists need high-purity nitrate, phosphate and heavy metal-free water for corals and sensitive fish. 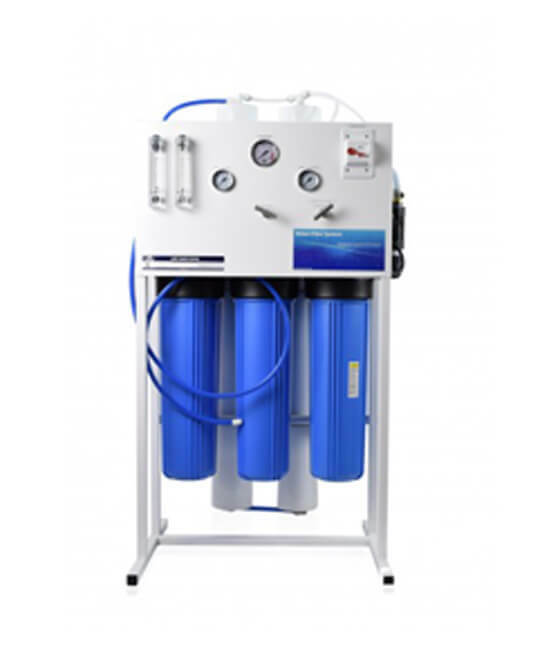 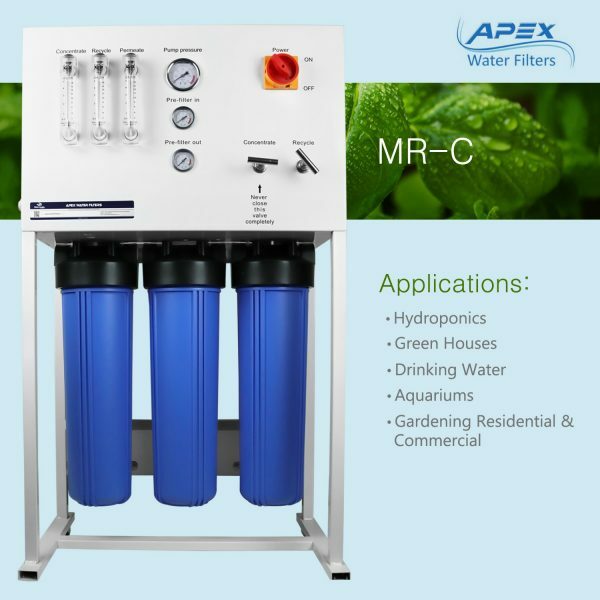 Wherever large quantities of high purity water are needed, the APEX MR-C reverse osmosis filtration system will do the job.